The main goal of the OLPC, and thus, of the whole computer industry at this point, is to lower the cost of laptops by lowering the power consumption. The best way to achieve that, is to limit the way applications get full native access to the deep internals of the computer system. Intel’s X86 standard and Microsoft’s Windows OS were designed only for that multi-purpose backwards compatibility where the same unoptimized bloated software would work across thousands of hardware configurations with often full root access to the deepest internals of a computer system. For most of the applications that most people need, you do not need full native code support in third party applications. By limiting full native access for third party applications, you take care in one swoop of all the security problems that one has on Intel and Microsoft based PC and laptops. You basically make spyware, viruses, hacking and all of those problems impossible by design. That is how Android is made. Android provides a totally sandboxed JAVA-based software layer, which only interacts with the hardware features through totally controllable software-to-hardware APIs. With Android on ARM, you have a complete shift in the way third party applications are run compared to X86 Windows XP/7, MacOSX and even most of those X86 Desktop Linux distributions that have been going around, including Ubuntu and Fedora. The open source native Android Linux code hacking happens exclusively at the manufacturer stage. Which means, you want to have a manufacturer in control of everything, you want the manufacturer to customize Android for the very specific mass produced hardware in question, providing all the standard and non-standard software-to-hardware APIs for third party software developers to gain access to the all of the devices standard or special hardware features. What you have backing Android is the worlds absolute best company in Google, comprised of the worlds largest concentration of PHDs and Engineers with the most experience in Web and computer technology. The role of Google with Android is to make sure that the native Android code works in the most optimal fashion with the most optimal hardware configurations that manufacturers are making for it. Google helps manufacturers prepare that Android native code customization for each different System On Chip, for each different variation on the ARM Cortex processor profiles by each of the industry leading ARM processor manufacturers among Texas Instruments, Qualcomm, Broadcom, Freescale, Samsung, Nvidia, Marvell and others. If you want to change the default Android user interface layer and make it look more like the Sugar User Interface layer (which for XO-1 was built on top of an optimized X86 Fedora Linux installation), you definitely can do those changes and customizations. Those would come from the manufacturers, thus in the case of OLPC from the whole OLPC organization, in cooperation with Google or anyone else helping to create a more education-laptop friendly user interface. 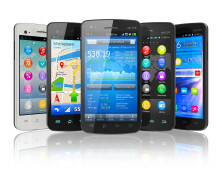 But Android applications remain the same, and appart from slight porting that can be required, all Android applications are designed to work in full screen mode, and management of multi-tasking, notifications, memory and processing power consumption, all those are managed the same way accros all implementations of the Android OS. HP has just announced that they are working to support Android in future HP Laptops. Asus has also announced to be working on Android laptops. Look forward to Android ruling over all ARM Laptop implementations, at least for these where the lowest cost and the lowest power consumption levels have been achieved. Look forward to $100 Android ARM laptops. Look forward to the empire of Intel and Microsoft crumbling under the inevitable hardware and software revolution that comes with the XO-2 and with the whole industry’s shift to lower cost, lower power consumption using ARM and Android in all laptops.